Interested in a change of scenery? Buying, selling or remortgaging your home in Sandown? Get your own online fixed fee conveyancing quote instantly with our completely free online service. All our quotes come from an impartial, accredited licensed conveyancer or solicitor, from any area in the UK. Our online service compares conveyancing quotes to find you the best online price for your conveyancing in an instant. This service is completely free and with no obligation from Conveyancing Solicitors in Sandown. Buying residential property in Sandown? 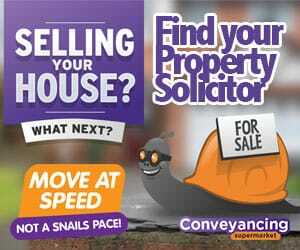 Save your time and money by using our purchase conveyancing quotes market comparison service. Good for any residential property in Sandown. To use our remortgage conveyancing quote calculator just enter your details below. The calculator will instantly compare Conveyancing Solicitors in Sandown and give you information on a price, location and lender as required. Our expert legal panel, made up of UK regulated solicitors and licensed conveyancers, can provide you with a fast efficient conveyancing quote in Sandown. You can get advice on Conveyancing in Sandown from any of our solicitors without any obligation from you to instruct – simply get a quote and arrange a call. Your dedicated Sandown Conveyancing Solicitor will contact you regularly to update the progress of your transaction. Sandown is a Victorian-era seaside town, and one of the few settlements on the Isle of Wight. Together with Shanklin, the combined population is 21375 as of 2011. Traditionally a town for the rich to take beach holidays at, modern Sandown is much more accessible, with bus links to Bembridge, Newport, Hyde and Ventnor. Although due to its location, Sandown does not have access to National Rail or a close-by Airport. Sandown itself is home to the Isle of Wight Zoo, and Dinosaur Isle museum dedicated to dinosaurs, along with a large variety of pubs and restaurants. Although Sandown began to suffer from Urban decay, as of 2015 regeneration efforts have resorted large parts of the town, and Sandown’s future fortunes appear to be changing for the better. Q: How do I get the cheapest conveyancing solicitors? A: While many conveyancing solicitors offer cheap deals to entice customers, there is no way that anyone can provide a full conveyancing service that some offer for as little as £199. Experts at Conveyancingsupermarket.com have selected a panel of professional and experienced conveyancing solicitors that buyers can be assured will provide the highest possible service. Q: What local searches are necessary when buying a property in Sandown? A: The Local Authority, in this case Sandown, holds information about properties under its jurisdiction, and a conveyancer will look at this information to assess any problems or changes that may occur regarding the property. These include the condition of roads and footpaths and whether any road schemes are planned, whether there is any evidence of land contamination, if the property is in a conservation area and whether there are breaches of planning regulations associated with the property. Q: How much do the searches cost? A: Depending on the type and location of the property, a Local Authority search can be between £40 and £300. A water and drainage search will be roughly £45, an environmental search will be slightly less, while a chancel search to establish whether homeowners may be liable to pay for repairs to a local church is £17. Add to this other costs, such as the £220 Land Registration Fee of £220, and it is clear that the conveyancer has only charged between £350 to £500 for his expertise. Q: How long does it take for a Sandown conveyancer to conduct the homebuying process? A: The time taken to buy a property depends on many factors, including the vendor’s conveyancers. If you are in a hurry, you can help by answering your solicitor’s questions fully and promptly. If everything moves smoothly, and you have done your homework, you should be in your new home around ten weeks after having an offer accepted. Q: How is Stamp Duty calculated? A: The lowest band for Stamp Duty is up to £125,000 and is zero-rated. The next band is from £125,000 to £250,000 – this part of the overall price attracts a 2% rate; the next £675,000 (up to £925,000) is charged at 5%, with any value above this up to £1.5 million charged at 10%, while any portion above this is charged at 12%. Visit www.stampcalculator.co.uk/ for a simple way to calculate your Stamp Duty.